We’ll start things off with your wedding flowers. Velvet red roses are the traditional choice of flower used for Valentine’s Day, and they can be used in various beautiful ways throughout your wedding. From your bouquet to your décor – they immediately add a pop of colour and dash of romance to your day. 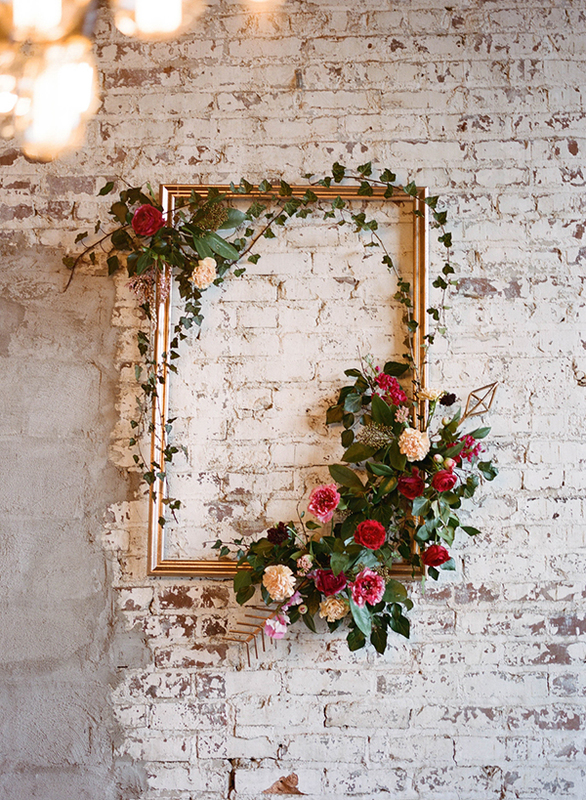 An antique golden frame entwined with greenery and roses will not only look fabulous as part of your venue décor, it can be used as a backdrop or photo-booth prop. Creative wedding ceremony spaces are becoming more and more popular with couples in 2017. It allows couples to personalise their venue, while creating a space that is completely unique to their day. 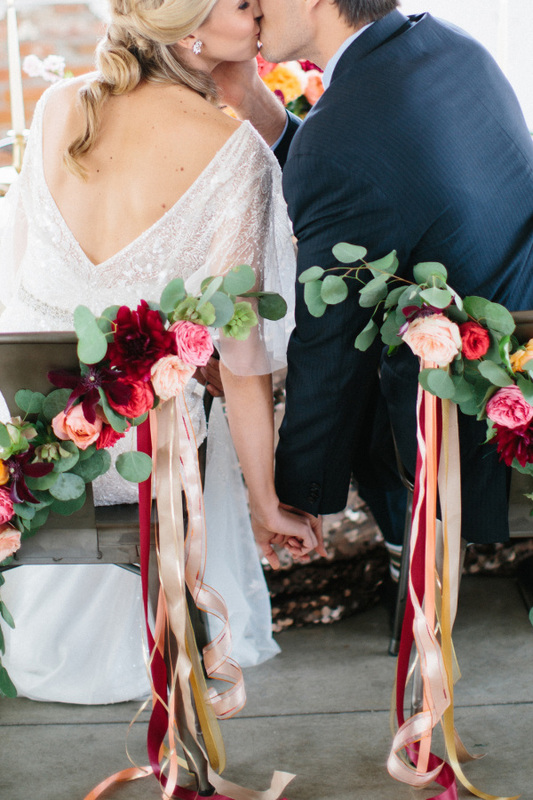 A golden archway adorned with a variety of red and pink blooms will look wonderful, and it will create a special area for you to say ‘I Do’. 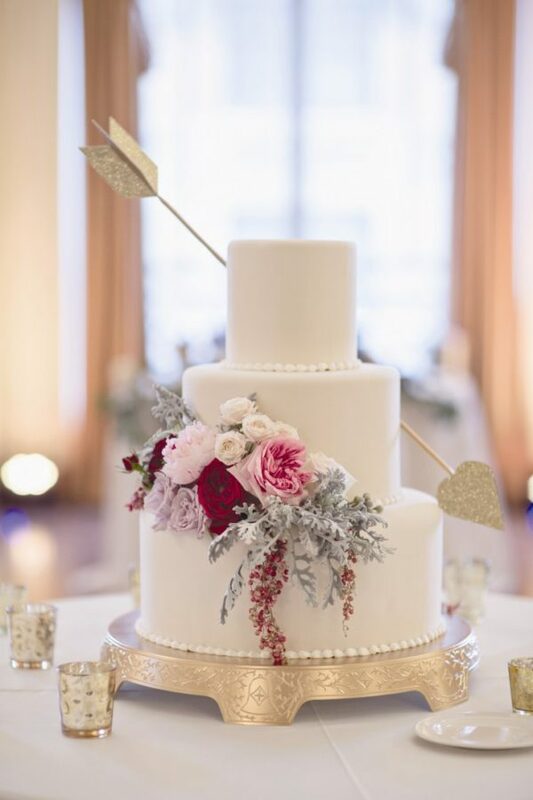 For food and drink you can opt for a Valentine’s wedding cake displayed on a sequin gold table runner (or a equally dramatic runner in a rich fabric like velvet) and gilded cake stand. A cupid’s arrow is a great alternative to a traditional cake topper, and it will fit in with this theme perfectly. Red blooms trailing the tiers of your cake will look exquisite, especially if they match your bouquet! Why not serve delicious cocktails inspired by the colour red? 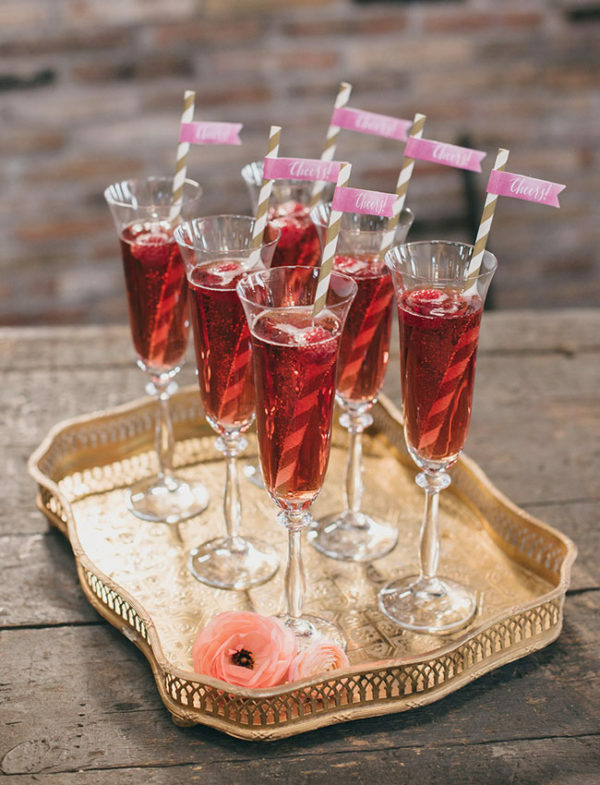 From strawberry daiquiri to a raspberry martini, a cocktail bar is a wonderful way of treating your guests. Lily & Lavender Events work with a select few luxury mobile bar companies in Sussex and London who would be able to create a bespoke luxury bar to suit your needs and wow your guests. It’s time to think about wedding day attire for the bridal party, and there are numerous people to take into account. As a bride, you might love the idea of rocking vibrant red lipstick as a nod towards your Valentine’s wedding theme. If you want to keep it simple, a bouquet brimming with red blooms will be able to do all of the talking. 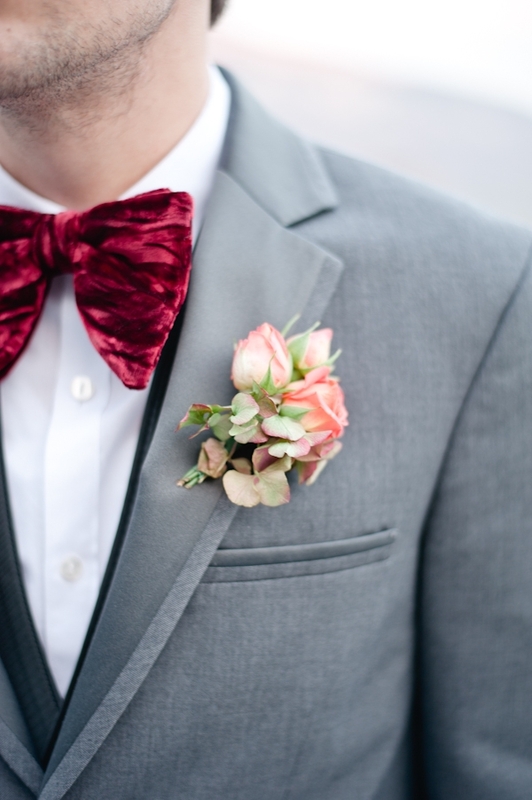 A groom will look handsome wearing a velvet red bow-tie and buttonhole. 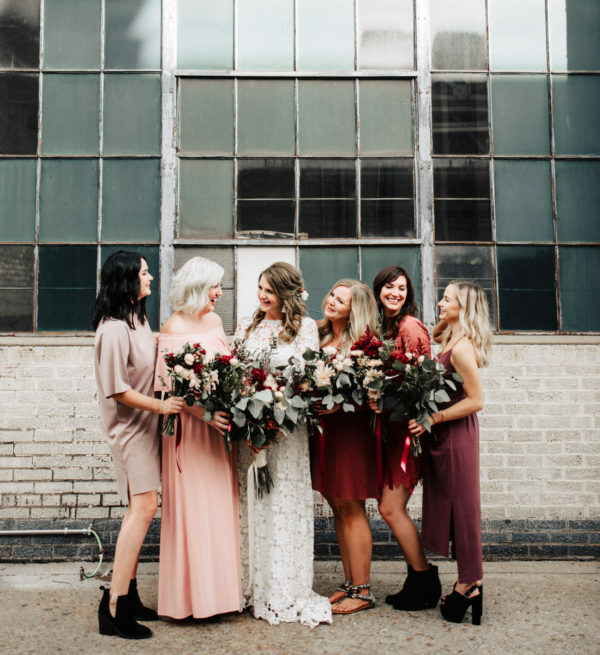 It’s a tricky task finding a dress to suit all of your bridesmaids, so we recommending going for the mix and match approach rather than a ‘one size fits all’. A variety of red gowns in different hues and styles will look beautiful, and your team of maids will be able to find one that they feel completely comfortable in. 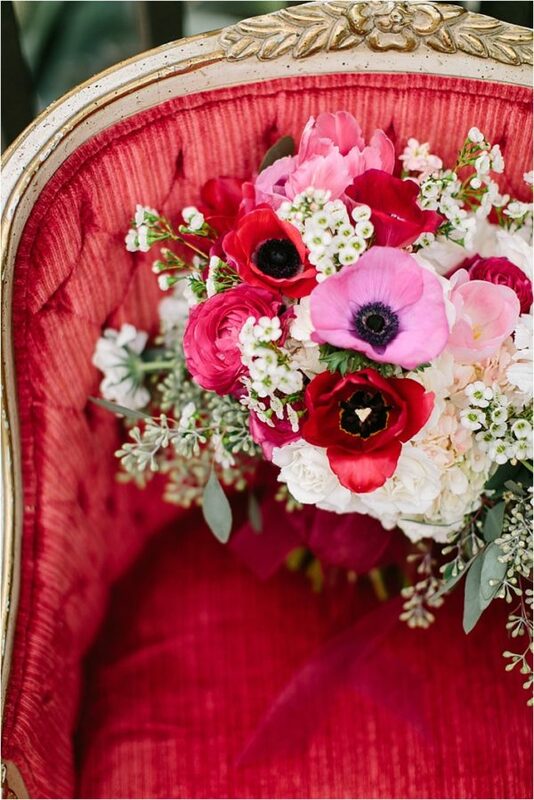 There are so many ways to incorporate subtle Valentines-inspired touches throughout your décor – such as plush red armchairs for guests to relax in or gorgeous red wedding stationery! Add a sprinkling of glitz and glamour to your wedding venue by tying a mixture of gold and red ribbons to your chairs. 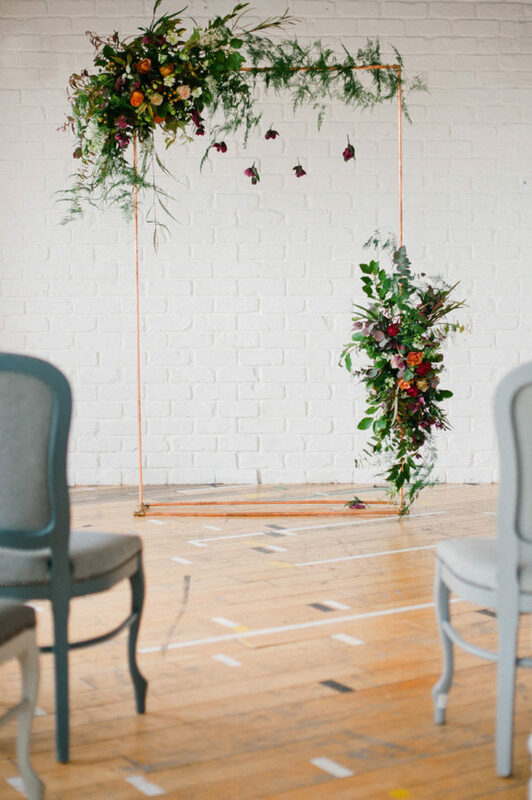 They’ll make even the simplest chairs look stunning and will immediately inject colour into your venue. Brides and grooms chairs can be made to stand out by adding golden calligraphy signs to the back, or by adorning the rims with foliage. 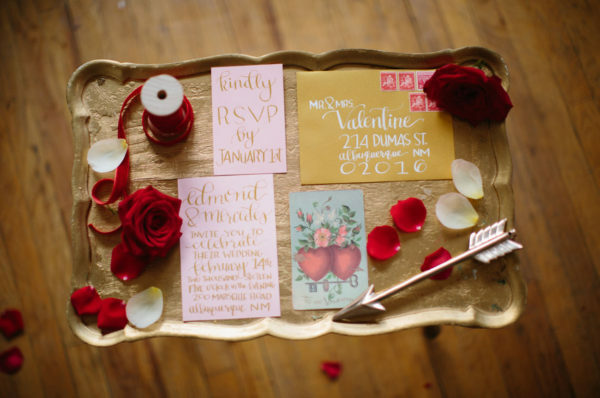 A red and gold colour palette is the perfect choice for a luxury romantic Valentine inspired Wedding! 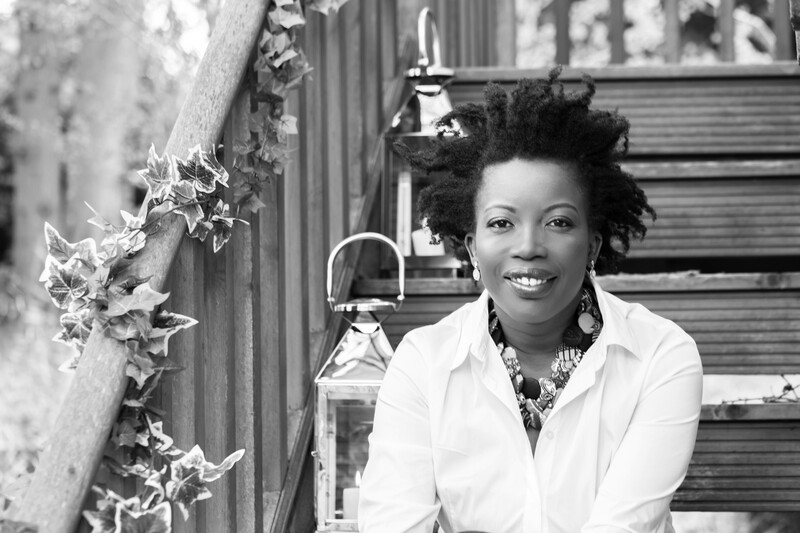 Contact us if you need guidance and professional help to achieve this luxe theme. Loving the red and gold together. Very luxe and so pretty on the eyes. Glad you like it Brenda – Red with gold is a match made in styling heaven! 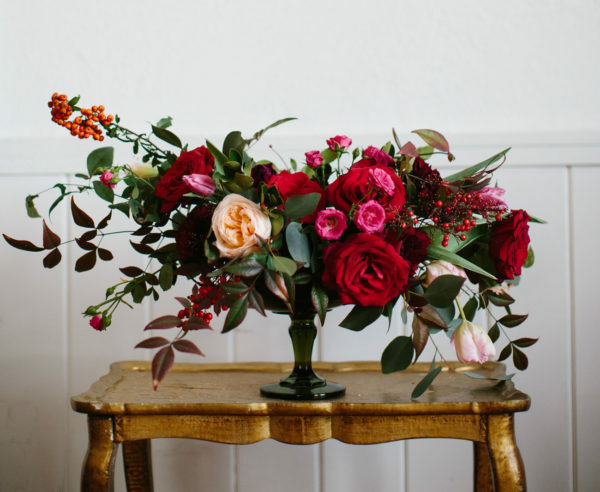 Love the rich reds and exceptional floral designs! Thank you for sharing this Valentine’s wedding inspiration. Thank you Beth! It’s one of my fav colour combos!